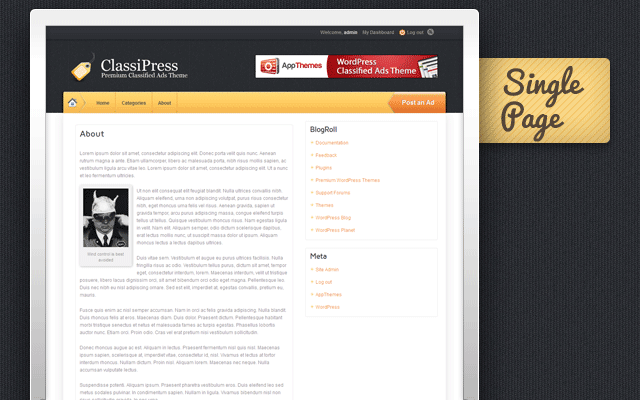 AppThemes brings you Flannel, an attractive child theme for ClassiPress. 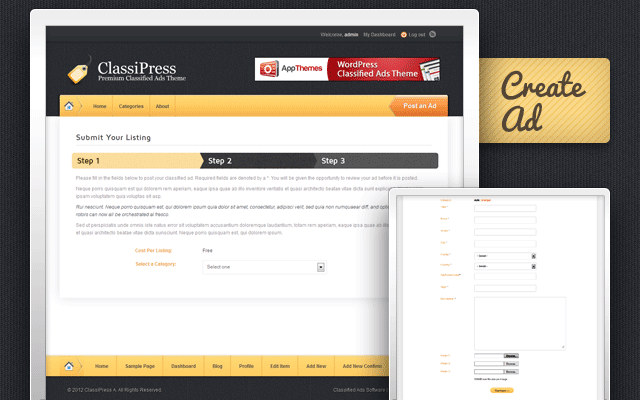 Flannel adds a soft touch and warm feel to your ClassiPress site. 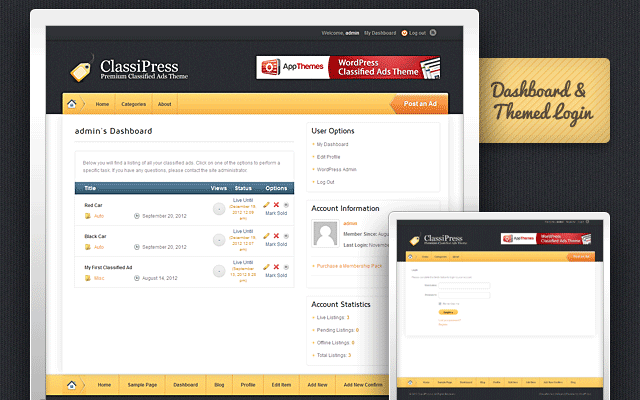 This child theme supports all the features and functions of ClassiPress and will be updated with each new ClassiPress version. Support for Flannel is provided by the same great support team that helps you with AppThemes products. As with all AppThemes child themes, Flannel is available for free to AppThemes Club subscribers. Flannel is fully responsive and scales across all mobile and tablet devices. View the live Flannel demo. Is this child theme included in AppThemes Club subscriptions? Yes. All child themes created by AppThemes are included in AppThemes Club subscriptions. Is this child theme included with the purchase of ClassiPress? 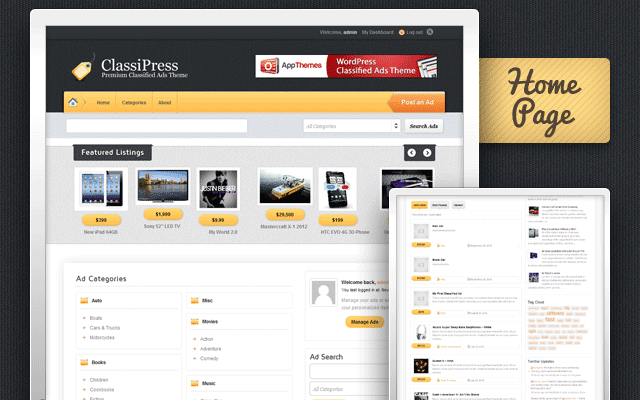 If you have purchased ClassiPress (our WordPress classifieds theme) only and not AppThemes Club, you must purchase this child theme separately. What app theme does this child theme work with? Flannel works with ClassiPress 3.2 or newer. It does not work with any other theme from AppThemes. How do I get support for this child theme. 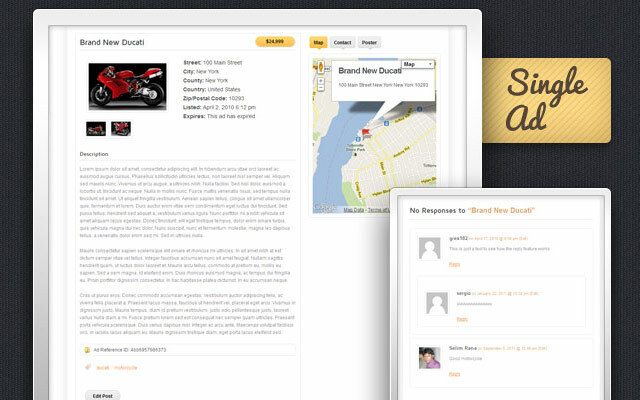 Support is provided by the AppThemes support team in our support forums. 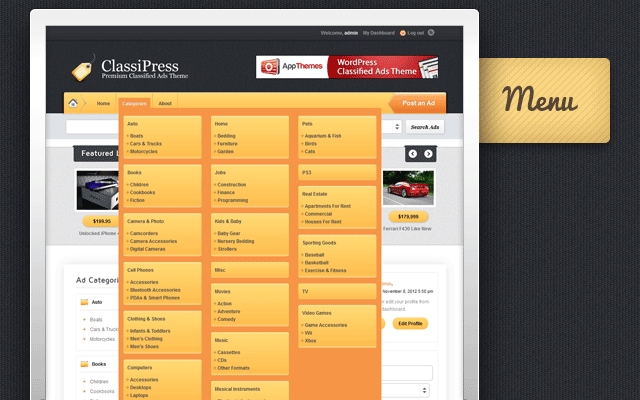 First, make sure you have the latest version of ClassiPress installed and active on your website. If you have not completed this step yet, read the “Getting Started Guide” on our docs site. Download Flannel child theme files from your customer dashboard and save to your computer. In WordPress admin, go to left column menu > Appearance > Themes. Click the “Install Themes” tab. Click the “Browse” button to find the theme files on your local computer. Once the theme is finished installing, click “Activate”. That’s it! You’re ready to go! When will this become responsive? Flannel is updated to 1.2 and it’s now responsive. This is planned for version 1.2, however we don’t currently have a confirmed release date for this available at this time. Thanks. I believe that I am a Theme Club member but I am unable to download the Flannel child theme without paying for it. @ositech, we are glad to hear you resolved this as per our email discussion. Thanks. Yes I did, thanks for the prompt response. I had a geriatric moment. Theme Club is only for the Appthemes themes. 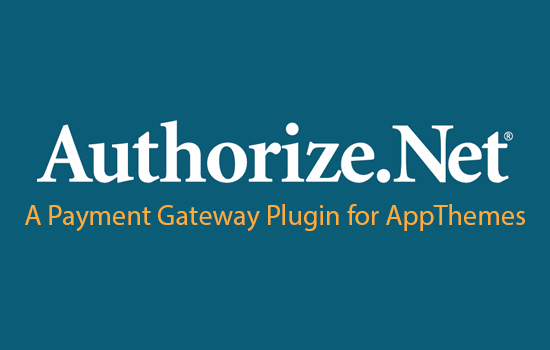 The marketplace, child themes and plugins is not included. Flannel Its a lovely child theme. However please advice how we can change color for the especially for the ‘yellow navigation’ to shades of green and background color from black to another color. Please advice how this can be done either via admin Dashboard or coding. Hi, i tried to use this child theme with classipress 3.5.1 but the slider don´t show correctly. Have any update to fix it? Any plans for making this theme 3.5+ compatible? I have uploaded the theme but the login page it is showing is http://flatandflatmates.net/wp-login.php? and the http://flatandflatmates.net/login/ is empty and the same is with register link. May I know what to do. Easily start accepting online payments via credit card and e-check. Opens Clipper coupons & stores in cute iframes. This item is no longer available for sale.